Tshwane Municipality has pulled the plug on its controversial multi-million rand tender deal with Glad Africa. The engineering company was appointed in 2017 to assist the city in rolling out infrastructure programmes. Tshwane Mayor Stevens Mokgalapa says the agreement was terminated by mutual consent. The city has forked out almost R496 million for the Glad Africa contract since its inception. Following months of bickering between former Mayor Solly Msimanga and City Manager Dr Moeketsi Mosola, the Auditor-General released a report confirming that the contract was entered into irregularly. Mokgalapa says that the contract was terminated as it was said to be irregular. However, the opposition describes it as ludicrous. Lesego Makhubela from the Tshwane African National Congress (ANC) says that former Mayor Msimanga was implicated by the AG for being responsible and liable for the awarding of the contract to Glad Africa. Meanwhile, Glad Africa’s operations in the city will cease at the end of June. Mokgalapa says he’ll establish the Financial Misconduct Board that will ensure that officials responsible are dealt with. 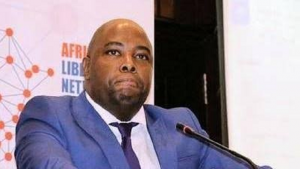 The post Tshwane Municipality terminates Glad Africa tender appeared first on SABC News – Breaking news, special reports, world, business, sport coverage of all South African current events. Africa's news leader..